There are few people who visit the Costa Blanca who do not know Cabo Roig. Cabo Roig is one of the oldest urbanisations in this area and has a reputation for luxury villas commanding 1st line aspects overlooking the Mediterranean Sea. 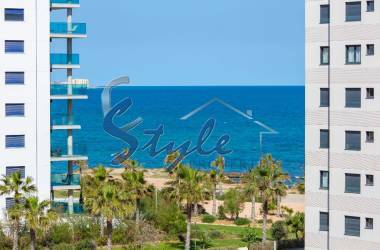 Obviously not properties in Cabo Roig are front line and Cabo Roig isn't just about properties; it has some of the nicest Blue Flag beaches, secluded coves and a newly expanded Marina. Cabo Roig is located about 45km, as the crow flies, from Alicante Airport to the South or about 17km from Murcia, San Javier airport travelling to the north. 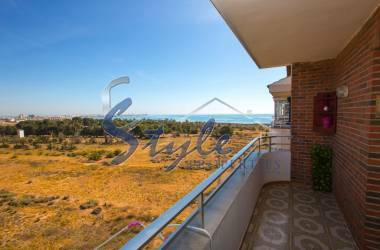 Although the actual boundaries of Cabo Roig have been stretched to incorporate many more properties and amenities within what we call Cabo Roig, actually Cabo Roig consists of the peninsular on the sea side of the N322. 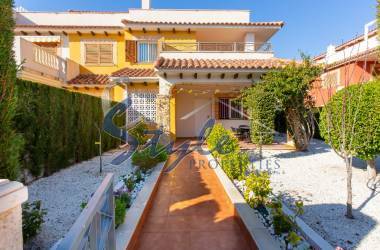 However, it is quite common for properties in La Regia and even parts of Campoamor and La Zenia to be classed as Cabo Roig. The original peninsula of Cabo Roig has been established as a partial plan between 1968 and 1980 but it was the start of democracy in Spain in about 1979 which saw the start of the property boom fuelled by a lack of legal planning constraint and the ease in which licences and planning permissions could be “Bought". 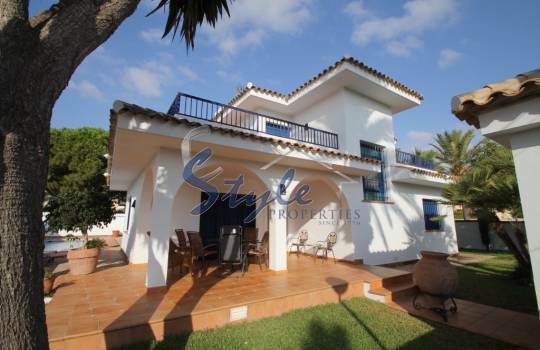 Since then Cabo Roig has grown to accommodate some of the nicest properties in the area. 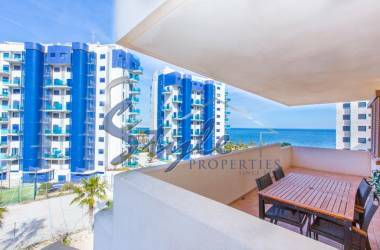 The property boom and huge increase in visitors and residents necessitated an increase in commercial facilities and so Aguamarina and Playamarina were born. 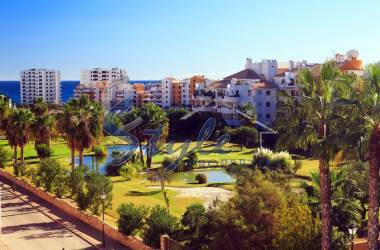 Today the original peninsula of Cabo Roig offers a small number of commercial facilities. There is a small supermarket and some restaurants and bars. However, if you venture down to the Marina de Cabo Roig you will find a café bar and restaurant within the Marina and a wonderful restaurant overlooking the Marina and the Cabo Roig bay, Cabo Roig Restaurante on Calle Torreón. As we have said, some of the nicest Blue Flag beaches are in Cabo Roig. During the summer season each beach is monitored by the Red Cross beach guards and there are beach bars (Chiringuitos) as well as toilet facilities and certain water sports. These vary beach to beach but you can usually find Jetskis and Pedalos. This year (2014) also saw the introduction of Safety Boxes where you can safely store valuables while you take a swim or just fall asleep. One small payment provides you with a bar code which you can use all day. The beach to the side of the Marina, Playa de Cabo Roig, is a firm favourite with locals and holidaymakers. Although there is quite a hike down to the beach when you arrive you will see why this beach attracts so many people. The cove or small cliffs provide protection from the wind and the rocky jetty provides a calming effect on the sea. With calm waters this beach is ideal for children as well as those who like to relax. The marina also provides protection from the open sea but also it provides the beachgoer with a restaurant and a care/bar. The marina itself is suitable for most small to medium sized boats and also has Jetski hire during the summer season. 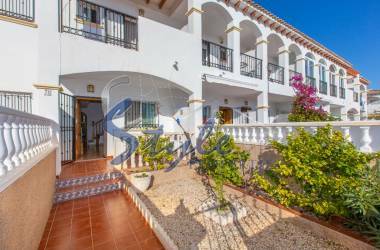 The properties which you see overlooking the Marina and the Cabo Roig beaches are some of the nicest and most exclusive properties available on the Costa Blanca. Many of the frontline properties have access ways to the footpath and beach entrances. 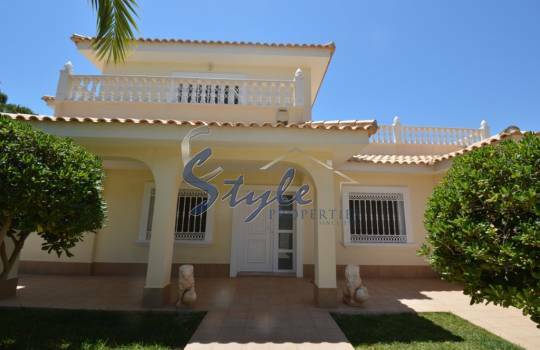 This direct access to the beaches makes these properties even more attractive to those that love the sea. Cala Capitan is a nice beach to take your children as access to the beach from the road is at the same level; no steep hills to walk! This beach also has a small restaurant on the access road to the beach which provides good quality food and drinks and a nice restaurant atmosphere in the evening. When you enter the beach you will find a large children's area with a climbing frame and volleyball nets. Just a few meters in the sea and you will be able to explore the tiny island called Isla Del Carmen. Care should be taken at times when yellow or red flags a flying as the island causes some underwater currents. Generally the water is very safe but like everything you should take notice of warnings and use common sense. 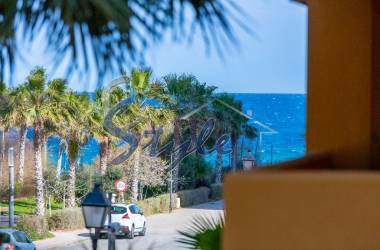 Further north from Cala Capitan and you will find yourself on the first of La Zenia's beaches. 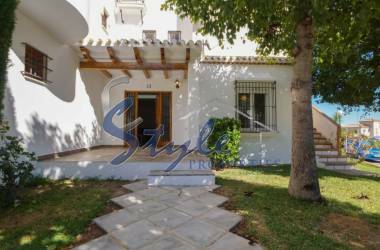 Behind the Cabo Roig Strip there are several link roads or cul-de-sacs lined with properties that are within a stone's throw of the lively strip and yet protected from the noise being behind the Aguamarina and Playamarina buildings. These properties are ideal for those that want to be in the heart of the action. At the end of each cul-de-sac is the promenade. 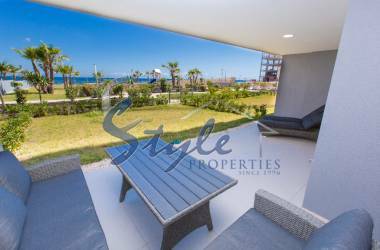 This is a beautiful promenade of about 1km in length which runs between the gardens of the apartments and properties to the back of the Cabo Roig strip and the Mediterranean Sea. As you walk along you can venture down to the rocky beach of La Caleta. There is a nice wooden walkway with roped rails at the bottom of the cove which also runs alongside the Mediterranean and giving you access to some fantastic snorkelling opportunities. One really nice pastime in Cabo Roig is the beach walk. This varied footpath takes you from the Playa de Cabo Roig and travels around the coast to as far as you would like to go. Most will be happy to walk the stretch up to Playaflamenca. The whole walk is about 4.5km but if you want you can carry on all the way into Torrevieja, taking in the sea air and spectacular views. If walking is not your thing then the beaches are open all year round, although the Chiringuitos are only open from March through to October. All the beaches make ideal locations to picnic or just relax. Petanque is another popular pastime on all the beaches on the Costa Blanca. In Cabo Roig you will often see groups playing very serious games in marked out areas but you would also find children and families being a little less serious enjoying their games just as much. Away from the beaches there is a wide variety of entertainment to be had in Cabo Roig. Most bars offer entertainment such as singers and groups. Some stay open until the early hours and some offer a quiet place to chat with friends. The Cabo Roig strip is famous for its theme bars and restaurants. If you like traditional Irish pubs, English taverns, Spanish tapas or you would like to savour the Argentinian restaurant or Food from the Far East then the Strip at Cabo Roig offers a huge selection to choose from. 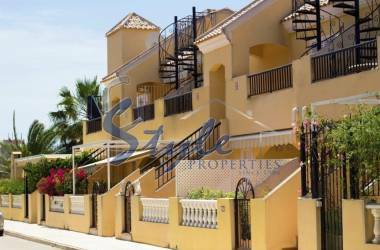 Cabo Roig offers a large range of properties for sale. 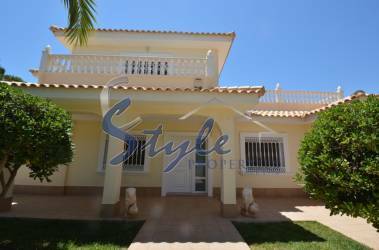 If you are looking to buy a property on the peninsular you will be able to choose from luxurious detached villas and a small selection of town houses and apartments. 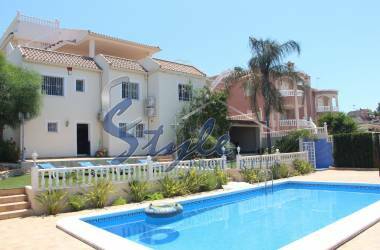 The luxury villas in Cabo Roig often have large plots of 700 plus square meters and are situated in the quiet streets. The road which circumvents the peninsular has small beach access roads jutting off. Down these access roads you will see some really nice properties overhanging the small cliff and looking right out to sea giving you a perfect panoramic view of the Mediterranean. 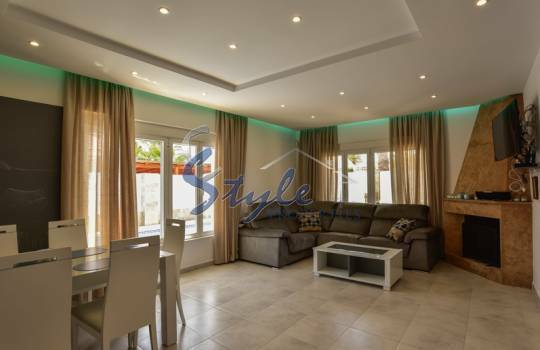 Most of the detached villas have also undergone major renovations and some have been totally rebuilt offering the would be buyer the opportunity to buy a fantastic modern detached villa on the front line and with spectacular views. 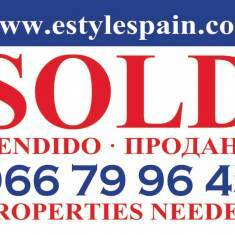 There are a small number of vacant plots still available on the Cabo Roig peninsular. These are part of the general plan so planning permissions would not be a problem. 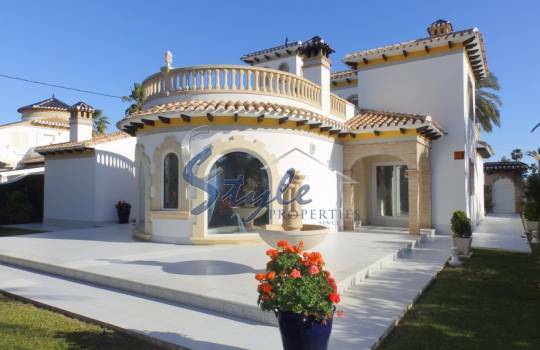 If you want your own custom designed luxury villa in Cabo Roig then contact us. Not only can we find that perfect plot of land but we can also arrange architects and designers to make your new build experience simple and risk free. 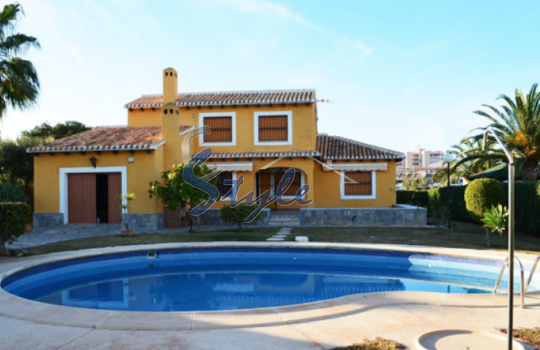 On the other side of the N332 you will find other properties which people class as being in Cabo Roig. 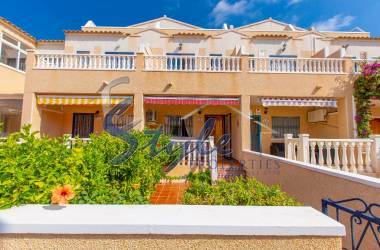 The choice for these properties is also varied; these range from terraced (Battenberg style) properties to bungalows and apartments. There are also some nice new build possibilities on vacant plots as well as resale detached properties. As a small guide we have listed some of the more popular urbanisations and the types of properties which you might find for sale. 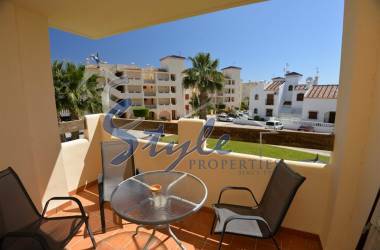 Apartments providing ideal holiday homes. Most of the bars and restaurants are located under the Aguamarina and Playamarina complexes. 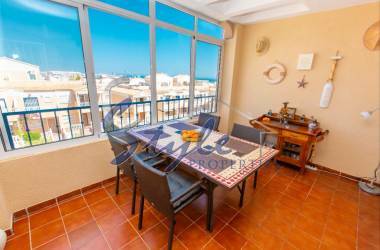 Apartments behind the Cabo Roig Strip and leading to the promanarde and La Caleta Rocky Beach. 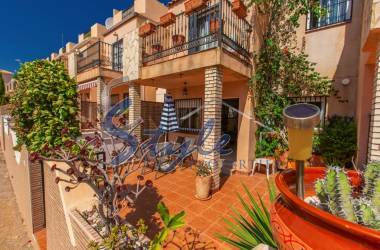 Terraced properties located just a few meters from the La Caleta Rocky Beach and Cabo Roig promenade. 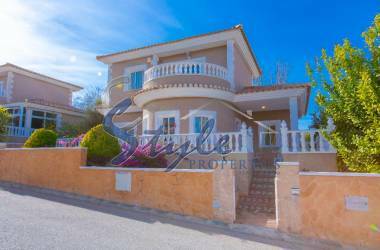 Quad type properties with a good internal layout and great proximity to the bars and restaurants as well as the beach. This is one of the largest collections of property in the area. 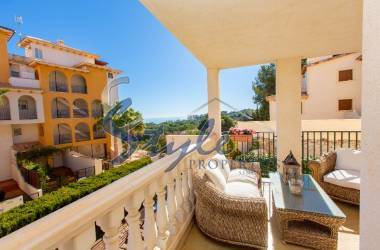 There are apartments and penthouses with some good views to the sea as well as Quad bungalows and Quad properties. Further into the estate takes you to some nice detached but small er properties; The Rosa and the Amapolas type properties. These are very popular as they are detached but not too big to manage for a holiday maker or retired person. 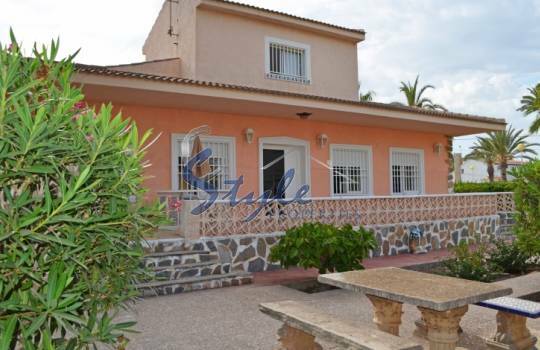 There are some larger detached properties on this estate but these are towards La Zenia. Battenberg style terraced properties with lovely gardens and communal swimming pools. They are really nice inside and larger than you think. 3 Bed Quad houses which are very Art Deco in style but are very spacious inside. The internal design of these properties has been to maximise space. Leading towards the PIzzeria El Gato these properties are similar to the ones mentioned about. 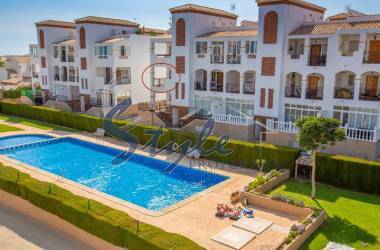 All of them benefit from a communal pool and are the closest properties to the Cabo Roig strip without being on that side of the road. 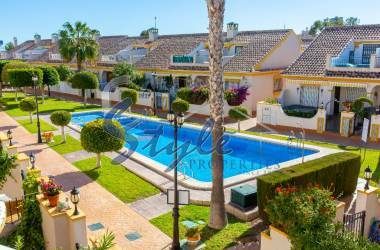 There is a huge selection of properties for sale in Cabo Roig; far too many to list here. The area has a huge following with the English, Irish and Scandinadian nationalities as well as more nationalities venturing in all the time. The array of different cultures makes this overall area very rich in terms of its cosmopolitan feel. The town hall is also recognising the area as more than just a vacation destination and its starting to invest into the infrastructure more and more. Parks and green areas are being created, areas which were once just left for a developer to build are being maintained and the whole area feels like its being kept. We have also noted the developers have returned in force; building new build properties alongside the existing resale properties. 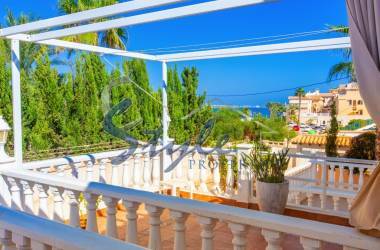 This gives the property buyer a much wider choice when coming to buy a property in Spain and specifically in Cabo Roig.